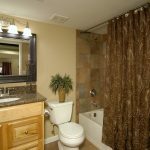 Resources > Bathrooms > Where Does Your Money Go for a Bathroom Remodel? Where Does Your Money Go for a Bathroom Remodel? Per square foot, no room in the house takes more work or costs more money to remodel than the bathroom. 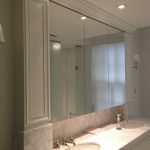 The combination of plumbing, moisture content, electrical wiring, and decorating schemes packed into the smallest residential spaces create unique demands on remodeling a bathroom. 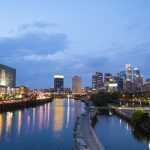 Yet, these same demands also place unmatched value on bathroom spaces, whether in terms of day-to-day living or home property values. Like a kitchen remodel, there will be substantial costs in finished products from flooring, bathtubs, shower surrounds, cabinets, countertops, and numerous bathroom fixtures. These products, however, don’t typically have the same price tags as major kitchen appliances and full cabinet and countertop installations. 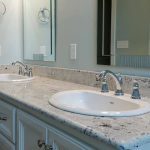 Plus, bathroom remodeling is a more labor-intensive process between tearing out old bathroom amenities and tedious tile and plumbing installation. 60-70 percent of bathroom remodel costs are labor and expenses and about 30-40 percent is finished product. Of course, this cost breakdown indicates only an estimated average, as the cost breakdown of specific projects can vary quite a bit. Undoubtedly, the biggest difference maker is plumbing and bathroom design. Already one of the costliest and involved subcontractors for bathroom remodeling, if a homeowner wishes to relocate a toilet, sink, or bathtub within the bathroom, extensive plumbing installation will be required, causing a substantial spike in the cost of labor and expenses. 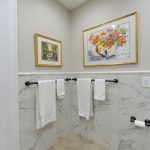 In fact, if you’re set on relocating your bathroom plumbing, not only will you need a substantially larger budget, but you’ll need more contingency room in your budget, as any number of obstacles can arise once the walls are torn out. Another reason bathroom remodeling costs tend to skew toward labor and expenses is the prevalence of bathroom flooring and shower tile. Even the size of the tile will play a role in the cost breakdown of your new bathroom floor. Smaller tiles may cost less from the manufacturer but will require more labor to install. Dot inserts for your tile can also get expensive quickly, as tile accents can cost $12-$40 to cut per insert. Need to find a pro for your Bathroom Remodel? 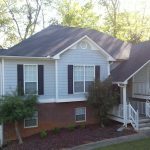 No remodeling project shows the cost difference between economical and luxury projects, and no remodeling project holds the potential for greater swings in the breakdown of finished products vs. labor and expenses. You might be able to find a low-end shower door, for example, for as little as $300, while luxury shower doors can run more than $3,000. A bathtub can range from $400 to more than $8,000 to buy and install. Shower surrounds can be just as varied. For a master bath with a separate shower and tub, installation costs can range from $3,500-$12,000. These huge differences in cost are also supported by the Remodeling Magazine Cost vs. Value Report. Other remodeling projects show twice the cost when upgrading from a mid-range to an upscale project. Meanwhile, an equivalent upgrade for bathroom remodels causes the average cost to triple. The average cost of a bathroom remodeling project is approximately $10,000, although this includes minor, partial, and small bathroom remodeling costs. 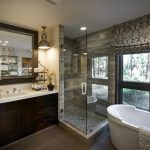 A comprehensive bathroom remodel is likely to cost $15,000 or more; a large master bath remodel can easily go over $50,000. Plus, it’s important to know not just the total cost of the estimates you receive from bathroom contractors but also where that money is going. Understanding this cost breakdown will help you choose the bid with the best overall value and, hopefully, identify contractors who may be giving you unrealistically low, misleading bids. Great information to know and put in practiçe, some information we already knew. Choosing a contractor can be frustrating. But can be every rewarding with due diligence, by these rules if followed. Home Advisor clearly helps in finding the right Person for the job! The suggestions are spot on! I have confidence that the right contractor is found . Thanks. 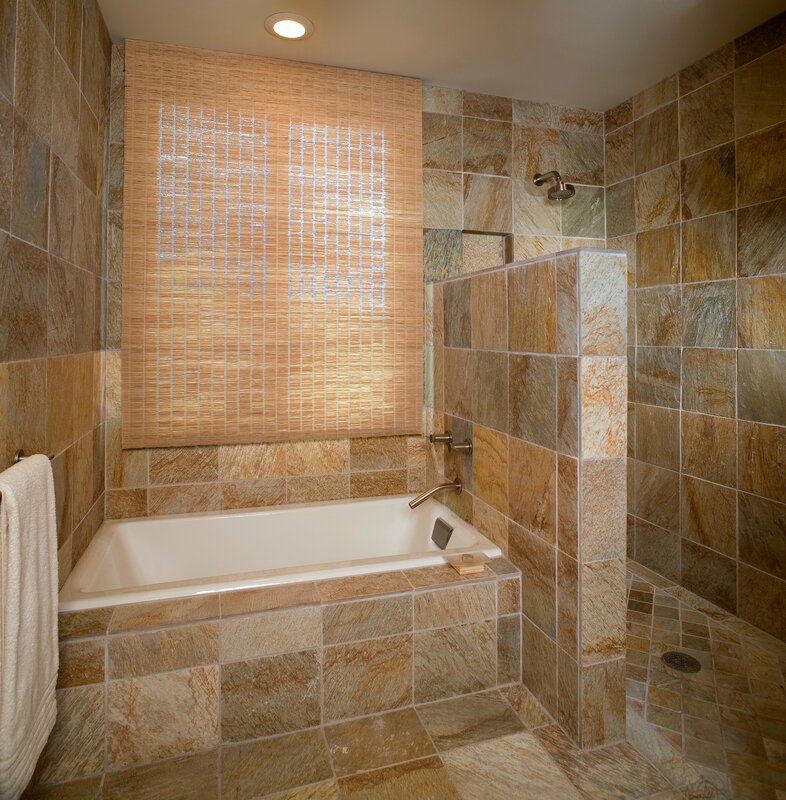 We recently requested three quote for a complete remodel of a large master bathroom. It included major changes, a luxury over sized shower and the addition of a senior style walk-in jacuzzi tub. All three contractors were within $1000 of each other. The lowest at $34k the highest at $36k. We liked the middle guy best. We spent over $30,000 for 2 medium sized bathrooms that were completely gutted. The walls and ceiling were replaced. The ceilings were heightened to remove the fluorescent lights. Thus, all the walls were replaced. Three windows were replaced with hurricane impact glass as we live in southe Florida. The entry doors to the bathrooms were replaced. Everything was retiled. 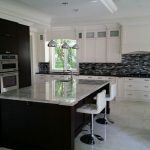 We have nice cabinetry and granite counters. The shower and bathtub glass doors are high end. In the end, this may have been closer to $35,000. We are in the middle of a Master bathroom remodel. Wanted to incorporate a walk-in closet, wow shower, and double vanity. Looks like we will finish at around 12-13k on the costs. We decided not to enclose the toilet since it would need to be relocated and the plumbing costs for this alone were going to add ~4k to the price. Frameless glass doors have been our largest single expense (we got bids from 2-3k). Just got an estimate for basic tub to shower conversion. No bells or whistles, not even a shower door, curtain rod instead. $10,000, this seems high to me. Would like to hire the same company for the rest of the remodel but at this rate I might as well move. We are nearing the end of a nightmare master bath remodel. The room is 5′ x 21′. We did gut the entire thing and move plumbing and start over. The budget was $35k, the contractor bid was $43k which we signed off on. The total costs at this moment (about 80% done) is $72k. This does not include other issues that have cropped up during this remodel such as one of the electrical circuits in our house that feeds backyard lighting is now defunct and the electrician has denied responsibility but we must now hire someone else to get that fixed. At this point (7 months since the start) I just want them out of my house. It will take us 1.5-2 years to pay off the loan for this ridiculously expensive remodel. while having my main bathroom gutted and remodeled… I was able to see actual costa as I bought everything that was needed. From plumbing to paint. Sure the labor is intensive but I can’t believe what places like Home Depot charge for everything! A good toilet averages 200-400. 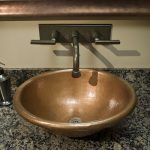 A good vanity faucet upwards of $200! Even the shower tile was at least $400. When you get a bid , remember even the cabinet knobs cost. I budgeted 8,000 and am easily at $10,000. I figured it’s a bathroom not a kitchen… I guess bathrooms are the new kitchens! Lol by the way, my kitchen was $25,000. I have 130 square feet master bath. New 24 by 24 tiles- new bath – 2 new vanities -new lights – painting with 10 squares of wainscoting and new stand up modern faucets. Kept the old shower with glass doors and sold old vanities for 450.00 Contracted job out but helped him. with everything. Total end cost 6,500 and bathroom pic belongs in Houzz.